Canada's Favourite Choice and the Ultimate in Audience Participation comedy shows. Canada's only Full Time Professional Comedy Hypnotist, That Hypnotist Guy, has been the Headline entertainer for the top resorts in the Muskokas, Corporate Holiday Parties, and moneymaking fundraisers for over 12 years. Always in demand, call TODAY to book the most requested entertainer for your event! This show is the most popular 75 min show used by all sorts of clients across the country. From small intimate birthday parties, to larger ballroom shows, this show has so much fun, for a reasonable price. CUSTOMIZED PACKAGES AVAILABLE! As always, Richard can custom tailor a show to suit your performance area and event. From a quiet library to an outdoor event, Richard has the knowledge and skill to put on the best performance for you. For more information or to inquire about bookings, please contact That Hypnotist Guy for more information. Richard Cole provides a 100% clean and ethical show. No embarrassment, humiliation or revealing secrets. 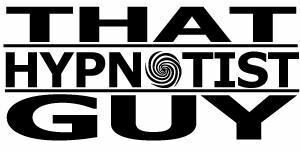 He is a certified stage hypnotist with over 20 years of FULL TIME experience so you can be assured of a professional show. What other form of entertainment leaves both the audience AND the volunteers feeling euphoric and happy? Great Christmas Party Entertainer - An Eventective User from Melfort, Sask. Jesse was the perfect addition to our Christmas Party for a fantastic evening! Having seen many hypnotist shows over the years, yours was by far the best. Your interaction with the audience and concern for the volunteers made it a pleasure working with you. Your office staff was top notch and made booking the show easy. We do hope to have you back next year! Thank you again!